Mulching your plants shows you really care about their well being! It prevents the easy germination and spread of weed seeds in your flower beds and offers water conserving properties as it shields the soil from the sun’s heat and the wind’s dryness as well as adding much needed nutrients to our typically poor native soil. 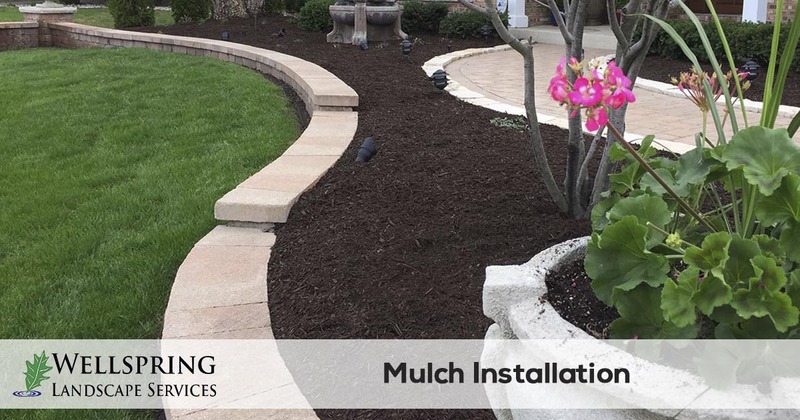 There are very few things that you can do to your landscape in one day that is as affordable as installing mulch that gives you such a dramatic transformation in the appearance of your property. Here at Wellspring Landscape Services, our customers get to choose from a variety of mulch types and colors so you can pick what works best for you and your landscape. Although mulch delivery and installation is a stand alone service from Wellspring Landscape Services, many of our customers prefer to also have their bushes trimmed and season flowers installed while we are performing the mulch installation service. Whether you want to change the color of your landscape mulch or you just want to freshen it up with new layer of mulch, call Wellspring Landscape Services. We have been offering landscape mulch installation in Austin, Bee Cave, Lakewood, Rollingwood, and the Westlake area since 2009. We make it easy to request a quote and schedule your services.